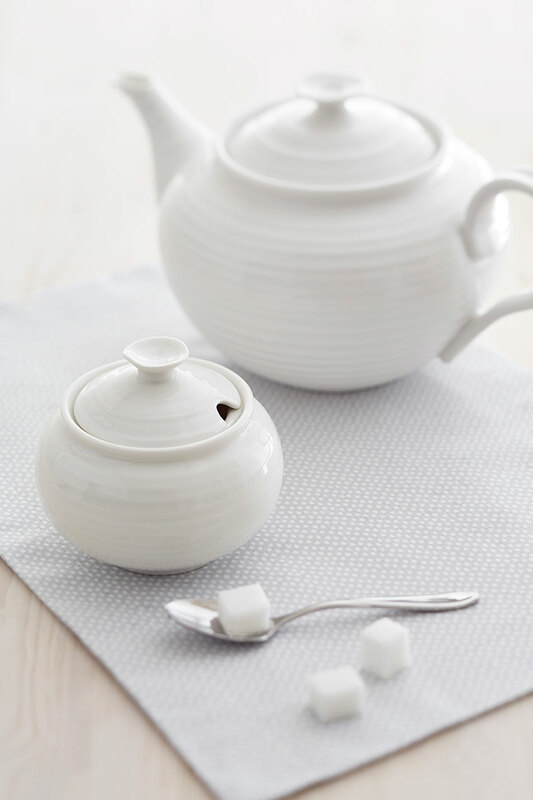 The beautifully rippled design of Sophie’s White Porcelain Covered Sugar Bowl is wonderfully tactile with an organic, hand made feel. 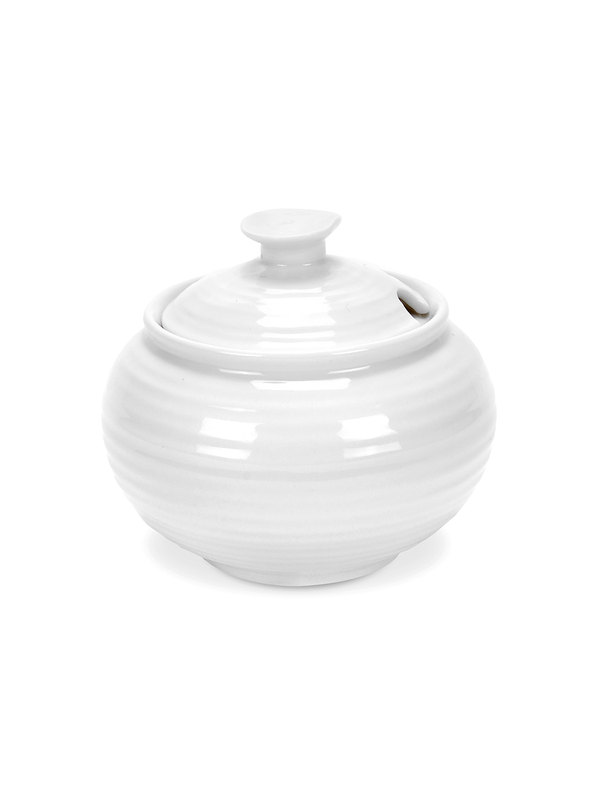 The signature lines of this piece will add interest to any table and is a delight to use. This gorgeous little chap was made to keep the teapot and creamer company for a proper English tea. Perfect for use with a Sophie Conran teaspoon.